Southern Fuel & Farm Supplies Ltd works closely with our suppliers to provide you with the very best minerals for your animals. We provide a comprehensive range of minerals to cater for all livestock and farming situations. Southern Fuel & Farm Supplies Ltd in association with Provimi provides quality premixes, pre-starters, starters and concentrates, together with speciality products for the intensive livestock sector. Provimi extensive product range has been developed through years of research within in house research facilities, external centres of excellence and in market. • Providing superior nutritional and technical input. • Delivering relevant products and innovation to the industry, through continuous research and development. Southern Fuel & Farm Supplies Ltd supplies Provimi TMR range. This range is designed to deliver the correct amount of vitamins along with major minerals and trace elements to the target animal. The precise mineral required depends on the metabolic state of the animal (e.g. dry cow or lactating cow), the diet the animal is on, and the expected level of performance of the animal. The Provimi TMR range of ruminant minerals is the most advanced range of minerals in the market place. The specifications are continuously being reviewed and upgraded, in line with the latest research to meet challenges at farm level. Southern Fuel & Farm Supplies Ltd in association with Crystalyx supplies a high energy form of supplementation to the main forage diets of cows, beef and sheep. 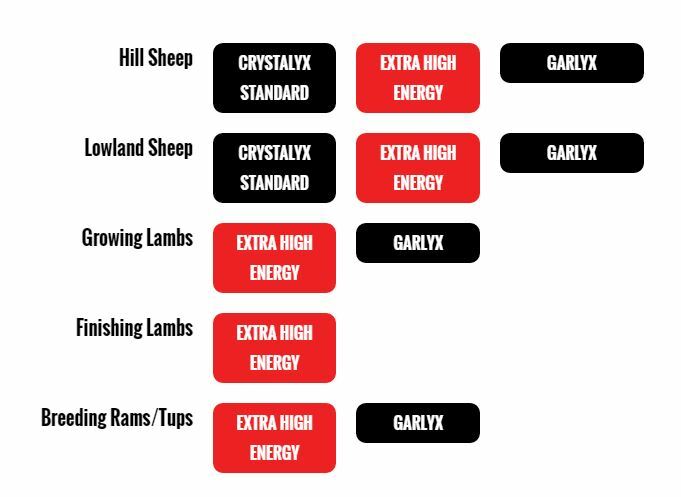 The Crystalyx range gives livestock the opportunity to perform at their very best. Crystalyx blocks are packed full of energy, protein, trace elements, minerals and vitamins. 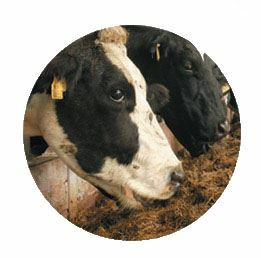 •It is a high energy, mineralised feed lick with a range of products available suitable for all classes of ruminating cattle and sheep (including organic systems). Crystalyx can also be fed to deer and goats. • The licks are virtually unaffected by rain and do not break up on weathering. Supplementary grazing with Crystalyx Cattle Booster can significantly and economically improve animal performance. It has been shown to increase liveweight gain by up to 24.6%. Cattle need magnesium to reduce the risk of hypomagnesaemia (grass staggers or grass tetany) but magnesium salts are bitter and not readily taken by cattle. Cattle High-Mag however provides a highly palatable form of magnesium readily consumed even by grazing cattle in spring and the high digestibility and availability ensures the risk of hypomagnesaemia can be significantly reduced by feeding Cattle High-Mag. Respiratory problem in cattle, especially calves, are all too common. The severity of the problems can range from a mild nasal discharge and coughing to severe pnemonia and even death. Respiratory problems are most common in young calves from 2 weeks of age, autumn housed calves especially spring-born suckled calves, bought-in or older calves and “stressed” calves. Unique features of Calflyx Easy Breather:: Calflyx Easy Breather contains active and proven decongestants as well as generous levels of vitamin E and C which are potent antioxidants. Easy Breather is highly palatable and stimulates dry feed intake. 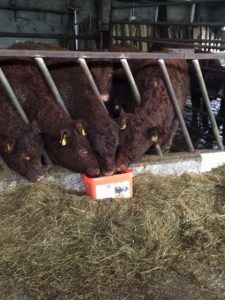 A dehydrated molasses feed lick containing a range of nutrients designed to supplement the forage intake of sheep, so helping to improve forage digestibility and rumen fermentation. It is ideal for flushing ewes and tups, ewes before and after lambing, growing and finishing lambs at grass. Respiratory problem housed sheep are all too common, using Easy Breather can reduce coughing in your sheep. 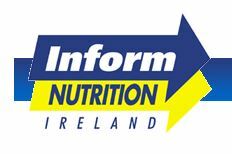 Southern Fuel & Farm Supplies Ltd in association with Inform Nutrition Ireland provide a product range to targeted nutritional solutions to promote nutrition based animal health. Thereby maximising milk yields, meat production, fertility and proactively supporting the immune system and health of the animal. 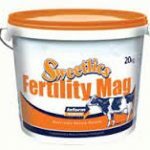 Sweetlics mineral buckets offer a practical solution to supplying minerals, vitamins and trace elements for cattle, sheep, horses and goats. • Sweetlics are a concentrated source of nutrients. • Supplies protein, major minerals, trace elements, vitamins and seaweed related alginate bio stimulants in a balanced form on a regular basis. • Can be fed anywhere at pasture or in a yard. Formulated for replacement heifers and calfs. Calf beef provides a range of mineral and trace element for the growing animal. 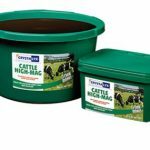 This mineral bucket lick is formulated for supplementing lactating cows as a support to the prevention of grass tetany & optimisation of fertility.